Late in 2017 I was approached by Richard Barbrook of Digital Liberties to design a political megagame for UK Labour Party activists to practice negotiation skills and practice balancing ideology and pragmatism. A primary inspiration for the game was to come from Chris Mullin’s political thriller A Very British Coup, published in 1982 and depicting a fantastical scenario of a principled and popular left-wing labour leader (Harry Perkins) sweeping to power in an unexpected election victory as a discredited and failing Tory government collapsed under a plethora of scandals. The action of the story was all about how the ‘The Establishment’ – the bête noire of the Left – comprising, press barons, the old boy network, the security services and the military, egged on by Foreign Influences (a Republican-led USA) would conspire to bring down a popular socialist government by subversion, foul means and fake news. The book was dramatised by Channel 4 in 1988, and I well remember enjoying it immensely at the time. Clearly a fantastical scenario. Designing a purely political game has a number of issues that affect the megagame design. In this case the main design aim was a game that would be accessible to non-gamers, or at least people for whom the only board game they would have heard of would be Monopoly. In addition the game should maximise negotiation to give the players the chance to not only negotiate but to experience, directly in the game, second (and even third) order consequences of their negotiations. Something that the players might rarely get to do in a safe-to-fail environment. The chosen game theme was especially appropriate – we did not want to divert or distract players into current political arguments or rivalries – so setting the game safely in the 1980s meant that whilst the background was familiar enough, it was also possible for a player to role play a faction that might not necessarily represent her current political perspective. The key to the game was to be negotiation, after all. It was also for this reason that the game simplified and adjusted the 1980s setting – the aim was not for the game to be a detailed political simulation but a negotiation game themed on that topic. This allowed better game balance and player agency (although the ‘unhistorical’ aspect did worry a tiny minority of older players who remembered the 1980s, some of whom seemed to still want to refight those old battles!). The first step, of course, was to build the game environment and a number of experts in the history of the Labour Party in the 1980s helpfully created a list of Labour ‘Factions’ who would represent the majority of the player teams. Of course only having Labour Factions as teams would miss the important element in any game of an active adversary – an adversary adds that important element of pressure and tension into the game. The scenario described in the eponymous book has some very clear adversaries. So it was obvious from the outset that the primary dynamic of the game would be a number of Labour party factions negotiating and interacting, with a smaller group of ‘Establishment’ player teams providing challenges and attempting to exacerbate the infighting and bring influence to bear to de-rail the left-wing legislative programme. But what would the Factions be negotiating about? What would be the role of the Cabinet? How would players interact with each other? These are (and were in this case) key game design questions. It is not enough to just have players in the room talking to each other – they must also be making meaningful decisions and taking in-game actions that have in-game consequences. And this is also the point where any megagame design has to, almost inevitably, part company with the narrative of a novel, play or film that inspired the game theme. To be at their best, megagames have to be open-ended rather than scripted, and the participants must be given real agency in the game. So whilst the game can be inspired by a novel it cannot (and should not) attempt to become a re-enactment of it. This is an important aspect of game design – works of fiction are not (or at least rarely) amenable to good gamification straight out of the pages. It is important to remember this. Just because characters exist in the fiction does not necessarily mean they would have agency in the game context – often they do not. As part of my research I re-read the 1983 Labour Manifesto, and the description of the real aspirations of a fairly leftish party of the time (or ‘far left’ by comparison to the Blair years). This was the context of Mullin’s original story, where it was the Perkins’ Government’s programme of ‘dangerious left-wing dogma’ that the Establishment was trying to counter. So it seemed obvious to me that a key focus would be on implementing the manifesto. Party Faction teams would therefore be arguing and manoeuvring to have their favoured policies enacted as early as possible in the life of the government. The game then tracked, for each policy, its Impact, Cost and Outrage scores. Balancing these three factors to get the most impact with the least cost or outrage (from the right wing press) was the core game metric, although there were other factors such as the popularity of the policy with party members, MPs and the Trade Unions. Photo credit: Stone Paper Scissors. It also quickly became obvious that the Cabinet would not be played by players because this would erode the role of the faction teams as the main drivers of the game (remember the game aim of maximising the opportunity for practicing negotiation skills). So the game would have the various factions seeking to influence and ‘control’ non-played cabinet members, and use that as leverage in the important game process of setting the legislative agenda. Control of a Cabinet member would increase the influence a faction had, particularly in Parliament – but control could be challenged and other factions could use their influence to gain control instead. The struggle to influence the Cabinet was the second main activity for player teams, both within the Labour Party and the Establishment (who could bring the old boy network into play too). Influencing the order that policies are enacted in parliament. The game timescale covered several years, because although a week is a long time in politics, legislation grinds slowly. And the measures that get passed have all have Impact (for good). Influencing the vote in parliament, both directly and indirectly.The weakened Tory Opposition was still present (and played) in parliament so there were opportunities for cross-party agreements. The aspect of time management and team coordination are also important parts of the game experience. Teams who were able to manage themselves well, found the game easier. Obviously, the Government (represented by the collective activities of the Labour Faction teams) as a whole would get little or nothing done, unless it could manage its infighting and cut deals – ‘log rolling’ if you will – the game allowed players to have a lot of fun with doctrinal and principled arguments and infighting. And that is entertaining in its way. But, unless they find ways of pulling together, the party’s impact is small, and consequently its public support dwindles under the constant assault of a hostile press. Too many individual victories could lead to group defeat, and an early General Election (= A Bad Thing). And this was the point of the game – illustrating that holding on to a position dogmatically meant that policies failed to become enacted (in the game) – and players learnt though emerging gameplay that the only way they can achieve sufficient impact as a government is by finding common ground and compromising. This is a non-trivial challenge, but one that is obviously mirrored in the real world. Influencing the public popularity of the government (through the media power of the Press Baron team). However, the Establishment teams also had their own negotiation and communication challenges. One of my main changes over the original novel was to make how the Establishment works a little more realistic – so rather than a monolithic extra-democratic power bloc envisioned in some of the more paranoid fears of the left in the 1980s in this game they are a good deal less efficient and also have their own internal pressures, objectives and concerns. Organising resistance to the new Government’s policies has to be in the context of resolving their own internal factional issues. Whitehall has often been described as ‘a loose association of warring tribes’. Hence in this game the Establishment is more ‘Yes, Minister’ in feel. This opens the game up to negotiation between the Establishment and the Labour factions on specific issues where there are common interests. This made the game a lot more nuanced and interesting for all the teams. The value of the game, which has been run several times now, is in the way it highlights this conflict between factional perspective and wider objectives. Players in the game often find that the first couple of turns the government is pretty ineffective as the infighting leads to watered down or low-impact policies being enacted, or even legislation failing to be enacted at all. As the game progresses the players realise (usually) that more can be achieved by compromise, careful communication and even a bit of mutual trust and respect. Far from being a game to teach the Labour movement to ‘defeat’ those who would oppose it from within the party and/or from the so-called ‘Deep State’ this game encourages players to practice the skills that are practical and useful is defusing internal conflicts and finding common ground and consensus. The Head of MI6 arrested for treason as a result of a falling out within the Establishment teams (instigated by the Head of MI5). The Cabinet Secretary (manipulated by the Police) causes Press Reform to be brought to Parliament earlier than planned (much to the consternation of the Press Baron) but because nobody was ready it failed to pass (much to the delight of the Press Baron). A Faction of the Labour Party (Fabian Society) was on the brink of being expelled from the Party, when everyone realised just how bad that would look, and the teams found a compromise. What drives some governments to persevere in war at any price while others choose to stop fighting? It is often less-tangible political and economic variables, rather than raw military power, that ultimately determine national will to fight. In this analysis, the authors explore how these variables strengthen or weaken a government’s determination to conduct sustained military operations, even when the expectation of success decreases or the need for significant political, economic, and military sacrifices increases. Design Matters: A series on matters relating to design, and why design thinking matters. Rex Brynen and I recently play tested Rex’s brand new copy of Tiny Epic Zombies. Our ensuing after-play discussion got us thinking about the game and certain common, irksome points we thought were design pitfalls to be avoided in any games, whether destined for the entertainment market, or geared toward the serious gaming and educational spheres. Thus the idea of Design Matters was born. I LOVE Gamelyn Games. I do. I own every single one of their games, love the concepts, adore the themes, am awed by the artwork, thrilled with the simple —yet engaging— rulesets: all in small inexpensive packages. I say this, because, while I do enjoy the theme, concept, and art, Tiny Epic Zombies presents a few significant —avoidable— problems that should come as a lesson to all game designers. Tiny Epic Games are not small, by any means, in their effect or entertainment value. Where Tiny Epic Zombies’ (TE:Z) size is lacking is in its small font. Graphic design is about much more that making something pretty. The fundamentals of graphic design deal with visual communication; the key word being communication. If information is not being clearly, and effectively, communicated it can severely impede gameplay. If this is an intended effect, to frustrate or slow players down, it can be an effective tool. Unfortunately, in the case of TE:Z it is not. Sometimes icons, or text are impossible to read at any reasonable distance. From a graphic design perspective: parts of the rulebook, certain objective cards, some mall map cards, TE:Z comes up short. This author and Rex Brynen both had difficulty discerning the text on certain cards without picking up the card and playing with the distance, necessitating glasses, adjusting glasses, removing glasses, or resorting to using the magnifier function of my iPhone to read some text. In one particular case it was absolutely impossible to discern what icon was being used on an objective card. Not difficult, not challenging, but impossible. The font size used on the Investigate the Source Objective Card —for example— was simply too small. The print resolution would not allow for the icon in the text to be seen as anything other than a circle with a blob. This inexcusable error in graphic design was immensely frustrating, and forced us to work backwards, trying to figure out what the icon could possible be. The design decision to go with such an impossibly small icon is confounding and frustrating. It is always important to remember that —particularly— in game design, form should follow function. Games enjoyment, and engagement depend so much on a suspension of disbelief that any shock to the system that brings us out of the game experience will have an associated detraction from said game experience. Stopping the action to peer over a card, squinting to read text is anathema to a positive game experience. Contrast this user experience (UX) with the thoroughly adorable and fun ITEMeeples Gamelyn produces for TE:Z. ITEMeeples, are iconic, specialized, plastic avatars with holes in them to place “reminder” items on a player’s character piece, representing weapons. While fundamentally unnecessary to gameplay, they add so much enjoyment and fun to the UX, and suspension of disbelief (“no, I really am carrying a chainsaw!”) they become an intrinsic piece of the game experience and enjoyment. They are so intrinsic to the positive game experience, their creation and inclusion in a number of the Tiny Epic Games makes one wonder how we ever gamed without them. This fabulous attention to detail in this particular aspect of the game experience, while ignoring the game experience in another should serve as a cautionary tale to game designers: everything matters. The Echo Ridge Mall is the nexus of this little slice of this apocalyptic zombie outbreak. It is beautiful, with a richness of art that I admire tremendously. However, in our play test this richness in detail sometimes became problematic. Each of the separate “stores” has any or all of: its own written rules box, objective placement icons, room numbers, or secret passages. These elements get lost in the richness of the art at tabletop distances. If our two player test had troubles, I can only imagine the difficulty five players, huddled around a large table in a semi-lit room would have discerning what they were supposed to do o a given card. Certainly, after one has played through a few rounds, the card-store effects become second nature, but having to pick up a piece of the map in order to read what you’re supposed to do, displacing items, meeples, and tokens is problematic. Further, unlike other Tiny Epic Games I’ve played through, the precise placement of the cards can be quite important. Each of these store location cards is divided into three rooms, which are bordered by thick walls. Each card, in turn, is bordered by this same thickness of wall, creating a discrete, modular store. Eight (8) of these stores surround a central courtyard in a layout as pictured below. Gamelyn produces a TE:Z Gamemat and online visual aid to lay this out. Where other Tiny Epic Games’ card-location is only important insofar as where they are placed relative to each other (adjacent or not), TE:Z’s location-cards are placed and played directly against one another. This impacts movement, shooting, and card legibility. Some cards will be placed upside-down. This would not matter except for the fact that many rules are written on the location-cards themselves resulting in a situation where many cards’ rules will be upside-down relative to the player. Add to this the font-size problem discussed above and early play grinds to a halt as players jockey for position to read a card, or have to pick up said location in order to proceed. This, in turn leads to another —fiddly— problem: position matters. Each location card has one main “opening” or entrance, otherwise it is bounded by a solid-line wall. Players may move through walls, as they are presumed to find or make gaps through (strangely weak?) mall walls. If players pick-up and replace location-cards, jostle location-cards during gameplay or accidentally shift their position in any way, this can dramatically affect movement, shooting, tactics, and approach to gameplay. The Gamelyn-produced TE:Z Gamemat-for-purchase addresses this somewhat, but this particularly fiddly scheme could have been more easily solved with a simple graphic element — an alignment arrow in the middle of each card edge. As walls are so fundamentally important to the gameplay, it struck us as very strange that all walls were clear, and of uniform width except for the central courtyard walls. Where all location-cards’ rooms are very clearly delineated by thick walls or uniform width, the central courtyard is divided into five (5) sections by markedly thinner walls. These walls are so different, we didn’t even consider them walls when playing through the game in our play test. Only upon careful review of the rules did we realize, thanks to a simple qualifying statement (p.8 “*Note: the Courtyard has 5 rooms*”), that these were meant to be walls, and the courtyard was not simply one large room. This would have substantially altered our game outcome. The lack of consistency in the application of this design element is inexplicable to me. The decision to go this particular route with location-cards (stores), has another side-effect: The playmap neither looks nor feel like a mall. Referring back to the suspension of disbelief and user experience (UX) design discussed above: a decision was made to create this particular schema that took Rex and myself out of the game. When something doesn’t feel like what it is expected to be, there is a cognitive disconnect that occurs that informs gameplay. This can be a powerful tool when implemented properly, or a distracting nuisance when accidental. The result was —for us— a persistent feeling that something didn’t quite feel right. On that same front, we questioned the abilities of a number of the Player Cards. Not so much the abilities themselves, but the abilities associated with the names of the Player Cards. User experience (UX) is a tricky and very particular aspect of any game design to master, largely because it relies on fickle and finicky human emotion, response, behaviour, and expectation. Designers can use psychology, the senses, and numerous devices to shape this experience. Gotten right, a game’s UX can overcome many a shortcoming. Gotten wrong it can detract from the pleasure of play. When this expectation (Based purely on Name) meshes with the effect of a particular card, the result is pleasing and harmonious: a triumph of UX design. Fry Cook Card: somehow make less noise? Photographer Card: ending your turn in a store with 2 zombies results in finding ammunition? Scientist Card: if any other player kills three or more zombies gain ammunition? a disconnect results while questioning the meaning/source of these effects. While not insurmountable, the unintended consequence of a naming convention and the resultant cognitive dissonance when an effect does not match one’s expectation is entirely avoidable. If these Character cards were named for persons instead of a specific role —Mary instead of Photographer— there would be no (reasonable) expectation of effect: why can’t she, instead, see things better with her zoom lens —improving search— for example. While this won’t break a game, it will distract, and distractions of this type will almost always lead to lessening enjoyment. Anytime a player begins questioning what the designer was thinking, the player is out-of-the-game. The above should serve as cautionary reminders to PAXSims’ community of game designers and enthusiasts: every aspect of a game needs to be considered. A solid theme/idea/ruleset is not enough, a designer needs to communicate clearly and shape gameplay with intention or the game experience can suffer. However, when you do get things right —as Gamelyn often does— you can create great experiences. Excepting the above, TE:Z remains an enjoyable game because what it gets right it gets really right. Some design shortcomings aside, the game art is —simply— fantastic. The clear theme carries throughout the game and spectacular card and box art. The game’s art direction truly sets the stage for the coming zombie apocalypse. Before the players even open the box, the stage has been set, then reinforced. Gamelyn, in my view, always gets this right. This is the campy, fun, zombie game experience you want with the pièce d’art of the contemporary gaming world: ITEMeeples. Objectives (excepting some of their card design problems) are largely fun affairs where the ongoing challenge of risk-reward balanced against time constraints and a little bit of greed (but I really want to pick up that bazooka in the other store) played out —for us— down to the wire. The game seems to achieve a great balance of ramping up danger, while keeping you on the edge of your seat with interesting choices. Developing appropriate challenges and choices shape the game experience and flow, great care was taken in creating and testing these objectives, I am certain. Once you get into the groove of the gameplay (one or two full turns to get up to speed), the game progresses quickly, satisfyingly ramping up intensity. If not for the distractions discussed above, the play is near seamless, with decision points to test each player’s resolve. Ease of access, understanding, and a gradual learning curve benefit this (and many) game greatly. The card-based AI work very well. We played cooperatively without a Zombie-player, and the anticipation of each end-of-turn search-card’s resolution kept us in some suspense. I look forward to playing a larger, competitive game with the full complement of 5 players to note the differing experience. (clearly knowing each location-card’s ability will be fundamental to this, I believe) Scalability is a great aspect of the game: playable by one to a full complement of five players. We can see, in the example of TE:Z, it is not enough for a game to be pretty (but sometimes, it certainly helps!). While great visuals can immediately engage players, clarity and legibility are fundamental in rules layout, design, and ability descriptions. Form must follow function. Nothing is more frustrating than not being able to read a rule, card, ability, or effect. Consistency is key. A lack of consistent application of design elements can —and often will— lead to misunderstanding and misplay, affecting the overall game experience. Design must be purposeful and mindful in order to lead the player to the game experience the designer wants. Any lapse in this regard will have unintended consequences. Expectations must be mindfully considered and managed as they will form an immediate opinion and impression. If something looks out-of-place it creates an uncomfortable cognitive dissonance, which —if purposeful— can be a powerful tool —if accidental— will detract from a game and risk running it off the rails. An accessible learning curve, geared toward the target player creates ease and comfort, allowing players to engage in the game quickly. The faster a player can integrate the rules into their experience, and simply engage in the theme of the game, the more effective the game will be. As part of their Wargame Designers Series, Columbia Games interviews Peter Perla (author of the seminal Art of Wargaming). Here is a reminder that on November 22-23 I will be conducting a two day professional development workshop on serious games for policy analysis and capacity-building in Ottawa. The course will provide an overview of how games might enhance foresight, innovation, and policy-development, and will include an introduction to various game approaches, design, and facilitation techniques. You will find further details and registration information at the link here. PAXsims is pleased to present some recent items on conflict simulation and serious (and not-so-serious) gaming that may be of interest to our readers. Landpower: GAAT has been made available for free in print-and-play format, via BoardGameGeek. Landpower: GAAT (the Georgia, Armenia, Azerbaijan, Turkey scenario) is a wargame designed by LTC Patrick Schoof at the U.S. Army Command and General Staff College and used for instruction in academic year 2018. Landpower is designed to drive both sides to plan and conduct sequential operations in a large scale combat environment. Many parts of shaping and combat are intentionally abstracted to allow the intended training audience to focus on appropriate decisions at the division echelon as a division commander and staff. The mechanics of the game are intentionally minimized above and below the echelon of decision. A well-planned operation with its events synchronized usually works most of the time. A poorly planned large scale operation will likely result in failure. Friction is intentionally built in! Landpower was designed to meet educational learning objectives while still being able to stand alone as a wargame. Because of this, most of the instructions ask the reader to treat the conduct of it as an exercise. In the classroom, Landpower is not about the game, but rather the discussion the wargame elicits. The exercise is conducted over a series of days. Each day is broken down into four, six-hour turns. During the turns each side will have opportunities to conduct operations to achieve their side’s objectives. The scenario in Landpower is conducted mostly in Azerbaijan based on the GAAT (Georgia, Armenia, Azerbaijan, and Turkey) terrain. Each hex is roughly 6.5km across. The terrain has been abstracted for the division echelon of decision with consideration given to possible second order effects of a particular feature’s inclusion or exclusion from the exercise. For example, the terrain at 39°56’42.3″N 48°21’00.4″E was treated as urban, and the northwest-southeast road was omitted because it would not change operations, though the bridge was retained. Glad to see this finally available on Board Game Geek–thanks to U.S. Army CGSC. For the DoD crowd, it’s also available via milBook on the Serious Games group. The die-hard wargamers will be honestly not very impressed with what they see; it’s a very, very basic tactical move and shoot game, with supporting arms/Multi-Domain warfare handled via the use of cards. 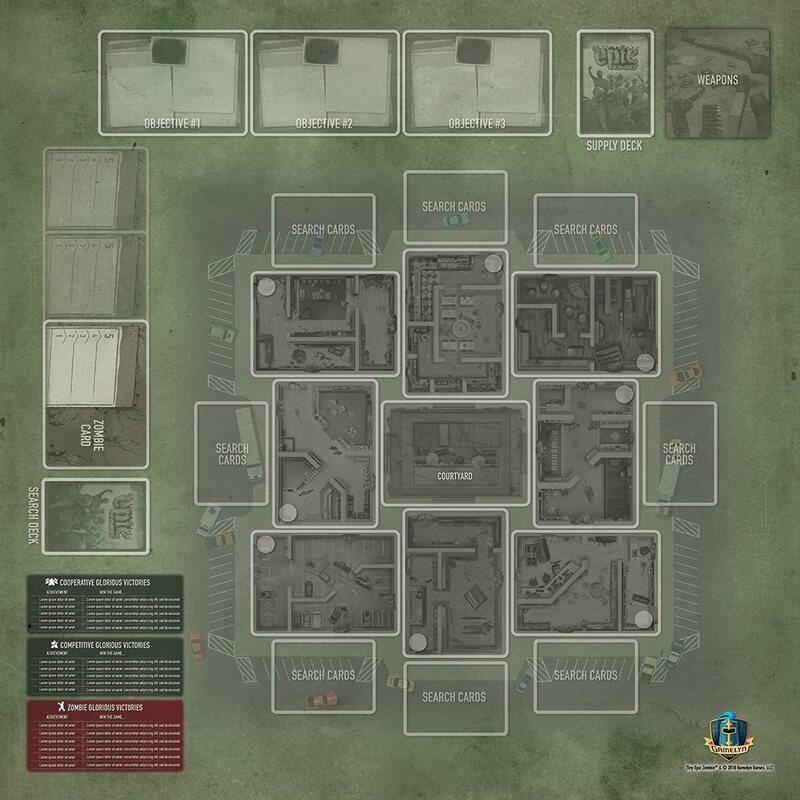 But understand that most of the officers have never even seen a board wargame, much less played one, and it’s a good entry-level venue to learn how to execute tactical courses of action in an admittedly crude way. Things we take for granted as board wargamers are completely new to most of the officers. It’s also not hard to want to “bolt on” other things onto the basic game, such as Armenian organizations, a Marine Expeditionary Brigade, etc. Best of all, it’s relatively uncomplicated as far as wargames go and plays quite fast! Regarding the debate on how useful the game is, much depends on the desired learning outcomes. As a faculty member of U.S. Army Command and General Staff College (as well as a long-experienced wargamer), it fills the bill for what we need for the classes we teach. That said, I can understand why someone would say, “That’s it? That’s all there is?” Yes, there should be more. Absolutely. But we as faculty are constrained by the amount of hours devoted to particular subjects, so we typically move on to other fields of study mandated to us. Our hope is that our officers are sufficiently intrigued so that they’ll continue investigations into a deeper understanding through self-study. It doesn’t happen often, but it occasionally does happen. It’s a fair criticism to say that there’s not enough reinforcement and enhancement of such experiences, both within the school and beyond it. All of the conference presentations from the recent Connections UK 2018 professional wargaming conference are now available from the Connections UK website. The latest issue of the Journal of Defense Modeling and Simulation 15, 4 (October 2018) is now available online. The primary objective of the workshop is to collaborate on data, models and wargaming best practices plus lessons for current cyberspace wargames and operations. This includes describing the current state, clarifying gaps and developing solutions for cyberspace operations data, models and wargaming. This event is FREE to US Government Civilian and Active Duty personnel. The workshops are geared to span the spectrum of wargaming experience from the novice wargamer, who want to increase their knowledge of wargaming techniques in the training working groups, to master game designers, who want to share and increase the wargaming body of knowledge within a cyber context. The keynote speaker will be John T. Hanley Jr., Ph.D. Dr. Hanley is currently an independent consultant working on strategic studies and gaming. He served as the Deputy Director for Strategy Management in the Office of the Director of National Intelligence during the period March 2010 to March 2012. His responsibilities included developing a strategic assessment process to inform top-down guidance and create shared vision, values and strategies within the Intelligence Community, bringing strategic thinking to strategy-to-budget processes, and leading the Galileo Program to promote and reward innovation within the IC. For his full bio, visit http://www.mors.org/Events/Special-Meetings/Cyberspace-Wargaming. There will also be a game night at the DoubleTree by Hilton McLean Tysons in place of the traditional special meeting social. This event will allow attendees not only the opportunity to socialize but also games and techniques in a fun, inviting setting to add to their repertoire. The game night will be $15. Game night attendees will be provided light fare and a cash bar is available as well. Attendees can expect a number of wargames at various levels. These will include single play/opponent games as well team or multiplayer games. For further information and registration, go to MORS website. “I think for some people, that’s the real sticky point, the thing they find most egregious, is the commodification of our culture,” he said…. You’ll find the full article at the link above. The issue of cultural representation in boardgames is an interesting and sometimes controversial one, and—time permitting—is something we hope to return to with a broader discussion at PAXsims in the future. If you might want to contribute, let us know. This seminar follows that low-tech disposition. We’ll survey the pasts of paper computers and their entanglements with literature. We’ll visit Special Collections to study some pertinent media, such as artists’ books, moveable books, machine-woven books, miniatures, cards, boards, and zines. Then you’ll select an “-ism” (e.g., imagism, constructivism, or thingism) and use it to prototype a tabletop game. We’ll discuss the dynamics that bridge aesthetics with mechanics, including how games rehearse legacies of colonialism and capital accumulation. What alternatives exist, and how are they made? We’ll play some games as we go, and read a smidgen of fiction and history, too. From week to week, we’ll ground it all in design practices: bookbinding, 3D modelling, fabricating, and playtesting, for example. Various guest speakers will join us. By the end, you should develop a palpable sense of how this becomes that with a computer—but without running culture in the background. Continuing with Brian Train references, he is the guest in an excellent recent episode of the Harold on Games podcast. THIS podcast is singularly composed of an interview with prolific game designer and insurgent provacator, Brian Train. We will discuss the myriad of games he brought with him to ConSimWorld Expo and his future plans. The dates for the Connections Oz wargaming conference have been confirmed: 10-12 December in the Hatchery at the University of Technology, Sydney. More details here. More from Down Under—the Australian Army’s professional development website The Cove contains another quick decision exercise: Takistan Raid. A recent business article the Financial Post discusses “war game techniques to get you through this age of disruption.” Judging from the image they use to illustrate the piece, some of these involve the use of a sword. Patrick Ruestchmann has provided a revised map and player aid for Tim Price’s Earthquake! matrix game. You’ll find the files appended here. Many thanks, Patrick! Registration is now open for the Serious Games Forum 2018, to be held at the War College in Paris on 3 December 2018. This free event will bring together military, civil and academic professionals using Serious Games to share their ideas and experience. Debates with our wide range of speakers will give you a better understanding of theses tools. Designers and users of theses games can take this opportunity to expand their network and share ideas. Find out more about Serious Games through practice. Experiment by yourself a wide range of Serious Games on many subjects, from security and crisis management to business strategy.